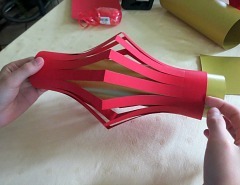 Making your own Chinese Lantern out of paper is easy and they make great decorations for your home, classroom, patio, bedroom... You can hang them or place them on a table, individually or in groups. 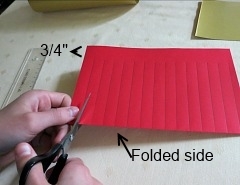 This one is the easiest to make and all of the materials you are likely to have at home, all you need is some paper, scissors and glue. 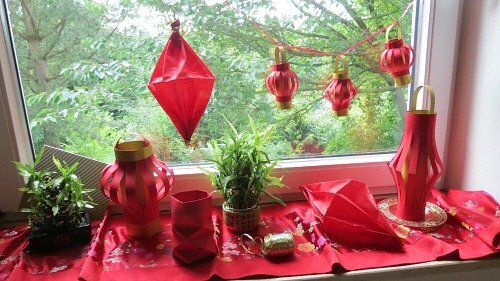 Bright red traditional Chinese lanterns are a staple of any Chinese celebration. 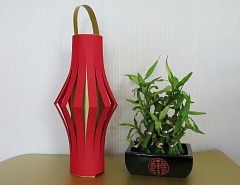 You see them decorating temples and shrines, parks, stores, homes and offices, and of course, all over Chinatowns around the world. 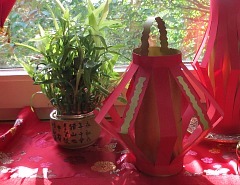 Chinese lanterns come in all kinds of shapes, sizes and colors. 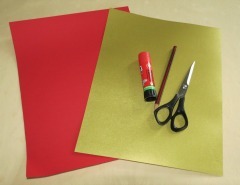 You can try your favorite color paper, we stick with red and gold, the traditional lucky colors for the Chinese. 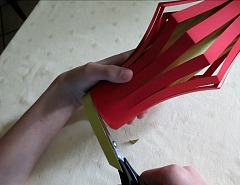 Use the scissors to cut through the lines, this will form the bars in the middle of the lantern. 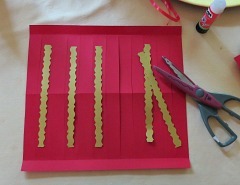 Once you have the basics, it's easy to try out some different variations, you can get really fancy here. 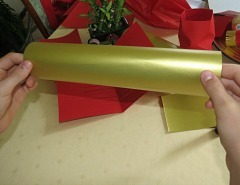 For example, you could add some gold trimings to the lantern bars. 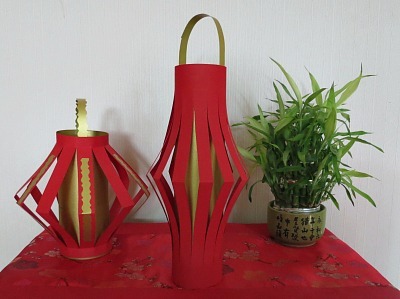 We will try some different shapes and kinds, including the most common balloon red lantern, a square-shaped box lantern, and some delicate prism shaped ones which are great for hanging. What to try next? 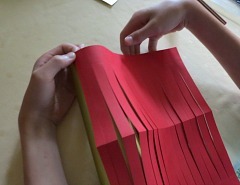 Here are some more ideas!